Ultrafly 2 is a cushioned road running shoe featuring a 3-density midsole for light stability through the gait cycle. At 28mm stack height in the heel and 23mm forefoot, the Ultrafly 2 has a 5mm drop. 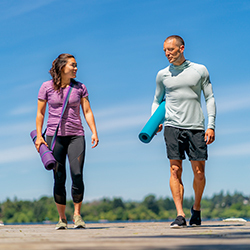 The new mesh upper is strong yet breathable and the all-new Ortholite footbed provides additional comfort by resisting compression and naturally eliminating odor-causing bacteria. 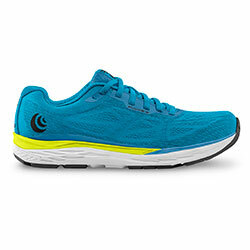 Allows you to access two levels of cushioning: soft against the foot and firmer/more responsive against the ground. 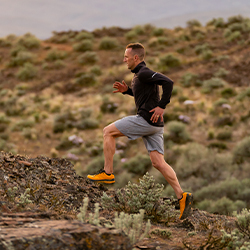 Our highest available drop allows you to access natural running with more under-heel cushioning. A great shoe, need different colors. Not feeling these new color choices, will you be offering more soon? I need this shoe STAT, I'm on my feet 13-14 hours at a time. I purchased the old model and they were great except that the upper mesh wore out after about 3-4 months of heavy use. Thank you! This shoe. I went through two pair of the originals in the past year, mostly because the mesh couldn't hold up to my toes, and they poked through. This new shoe is amazing; it has the mesh similar to the Fly-Lyte 2, which proved much more durable (my 2nd favorite shoe), and the cushioning is just a tad bit nicer. Got them yesterday and did 6 miles this morning and felt amazing. These are much improved and I am looking forward to many miles in them! Plenty of spring for that kick with the right cushion. This shoe immediately became my favorite! I found the Ultrafly 2 to have more of a snug fit in the heel than the original in addition to more of a sleeker toe area that gives more of a push, spring than the original did while maintaining the wide toe box. The shoe is flexible, lightweight with plenty of cushion without a clunky feel. My 1st run in these shoes was an easy paced 3 mile jog and my 2nd run was a 10K race. Going into the race I wasn’t sure how the push off would be but the shoes did not disappoint. They performed well no blisters, no hotspots and ease of a push-off when I was ready to pick up the pace. After 1 week I ordered a second pair in a different color. Note: I am a TopoAthletic Ambassador. I purchased the original Ultrafly for walking on pavement. Love the support they give my arches. But after a month I started to get hole in mesh from toe. I put a piece of moleskin inside to protect and make them last. I see that others have had same problem. Would like to know if the 2 has the same solid arch support. Must have for long nursing shifts! Ultimately I would recommend this shoe. It’s very comfortable and supportive right out of the box. I wear them on days I work 12+ hours and they keep my feet happy. I don’t like the design and color choice as much as the previous model. I do hope they last longer and my toes won’t pole thru, but I. Can’t attest to the durability yet. I have been suffering with foot calf issues for over a year and have been on an endless shoe hunt. 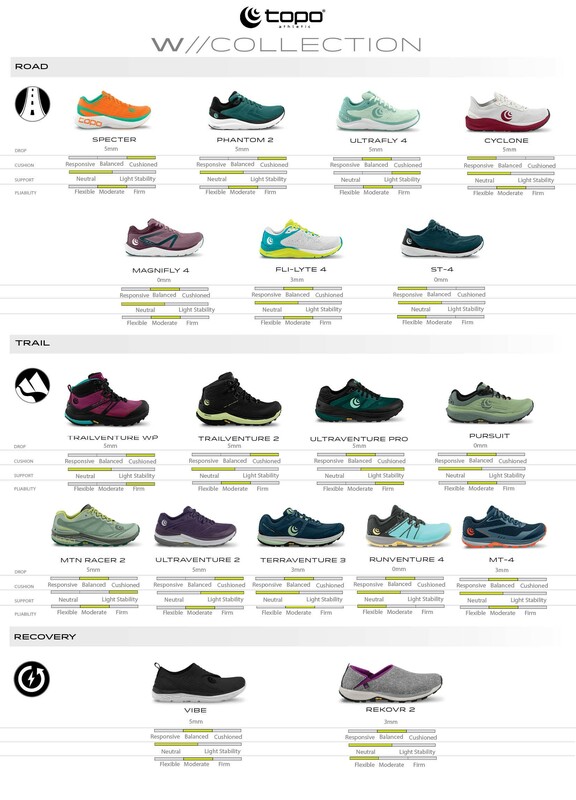 I've tried zero drop, higher drop, neutral shoes, stability shoes. Nothing I tried was working and I was about to give up on running. A friend of a friend swore by his Topos. I've had mine for a couple of months and love them. My calf is much better and more importantly I don't have any foot pain. I like the minimal drop on this shoe. The real selling point for me is the Ortholite...game changer. The fit is comfortable and there is plenty of room in the toe box. I have finally found my shoe!! Thank you Topo! Ugly is only skin deep. These are soooooo comfy! Comfortable from the second I put them on. Wore them all day. Had been wearing altra's but the zero drop was a bit too much for me. The 5mm drop is just enough. They do gap a bit at the ankle...a function of the depth of the shoe? And boy are they UGLY but who cares if my feet dont hurt. Perhaps I should not have gotten black. True to size but can you work on the colors and style details? I'm not an old man! These are the best shoes ever!!! I have had pain in my big toe knuckle for about a year now. Podiatrist couldn't figure out what was causing the pain or what was actually wrong with my foot. The only thing I have figured out is that I need a wide toe box like Topo's. I run completely pain free in these shoes. I was worried that the lower heel-to-toe drop (5mm - I am used to running in 10-12mm) would cause problems for my Achilles/calves but no problems so far and I have about 225 miles on these shoes. Do yourself a favor and buy these shoes. *My one complaint is color choices. PLEASE add some new colors Topo! I am here to update my review, I went ahead and purchased a pair in black. They were definitely as ugly as expected. I still can't believe you discontinued the look and purple color of the Ultrafly. I use to get compliments on my purple shoes every day. I have received 0 compliments wearing these. They are very supportive and have a wide toe box. I wear them for every 12 hour shift I work because they are so functional and meet the health needs of my feet. They are comfy like their predecessor. These seem to be made stronger than the Ultrafly which is a plus, my toes haven't poked through the upper mesh. I would love it though, if you remade this shoe. I can't stand the design look or color options. Running on the road is not my favorite, but sometimes it’s the best way to get a run in. This has become my go-to shoe! I love the wide toe box and the red color is gorgeous. The cushion is perfect and the 5 mm drop is just right for long runs. There isn’t a single thing I don’t like about this shoe. They’re even great for trail runs on less technical trails. Note: I am a Topo Athletic Ambassador. I found my shoe! I have been on a hunt to find a better shoe fit for me. I have been running in zero drop shoes, but ran into problems with the last 3 pairs I used. This shoe is light and comfortable! I started off using this just for my long runs, but now wear them for most of my runs. Ran 14 miles in them without even having to break them in. I like the wider toe box and the heel is just the right fit. It provides just the right amount of support. I am going back for a second pair! Due to a problematic bunion and an injury last spring from transitioning to zero drop running shoes too quickly, I was looking for a running shoe with a big toe box and a moderate amount of heel to toe drop. 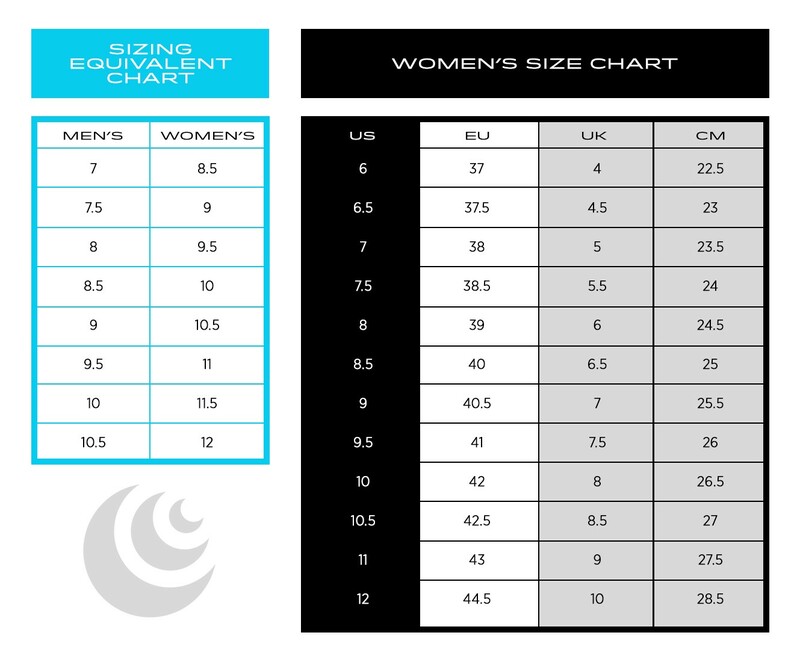 The Ultrafly 2 fits these requirements, however it seems to run small, and I'm not really happy with the shoe as it seems stiff and has a lot more cushion than I was expecting. I have run about 50 miles in them so far, and I like them a little better with each run, but when they wear out I think I will be looking for another model or brand. A great shoe for road or trail, proportionally cushioned, not overly flexible or rigid, wide toe box but doesn’t make feet feel like they are slipping around inside the shoe. My new favorite running shoe!! I purchased a pair of these over the weekend. I took them for a short 3 mile run this morning and I could not be more happy! 2 years ago, I purchased the Altra's due to needing a wide toe box. I was just 3 weeks from a 1/2 marathon. The first day I had them, I ran 11 miles with no issues but due to not taking the time to transition into them, I had problems fast. I ended up tearing my hamstring during the 1/2 (but I finished! :)) and have had issues with my hamstring since. I think the zero drop was just too much for me. The 5 mm drop seems to be perfect. Zero pain in the hammy this morning. No hot spots, plenty of room in the toe box and my hamstring felt great! I got the ice/red color and love it! After a barrage of Topo Facebook suggestions, I gave in and purchased a pair in this "unknown" brand and style just a few months ago. I am a nightmare as a shoe customer and finding running shoes to meet my needs has been impossible. Within 2 weeks of trying out the new Ultrafly II's, I was hooked on Topo. Now, I'm heartbroken because I've been advised my perfect shoe in the perfect color (black) in the perfect width for my forefoot and the perfect snugness for my heel as well as with the perfect stability and perfect drop to avoid getting shin splints, irritating my painful 2 year old IT Band issue or causing a Plantar Fasciitis flare up will no longer be available. I hope and pray that an Ultrafly III not in obnoxious shades of bridesmaid horror is on the way to keep me from falling back into the depths of misery when the two pairs I've been able to buy are old and worn because I'm too old and worn to want to start again on my quest for the perfect road shoe. I thought I had finally found a shoe other than Hokas that fit me (and was much better looking! ), but I'm not sure these will work for me. They fit well, and have more room in the forefoot than the magnifly (yay! ), but the seam near the heel and near the top rim where the two colors are joined together really rubs on the side of my heel, and I'm not sure I can wear thick enough socks to avoid this issue causing blisters. Very bummed. Please fix this on the next version! Fixed my feet and made them stronger while riding in style and cushion. In late 2017, the shoe I had been wearing was changed so dramatically, I had to find something else. I felt lost then my coach suggested I try Topos. I hadn't heard of them and was a bit hesitant but I trust my coach completely. And I'm SO glad I did! From the first run in them, I was hooked. Transitioning to the 5mm drop went great and my feet love the wide toebox yet snug heel. My foot stays put, I don't get a cramped up, stuffy feeling even after long distances. Ran a marathon in December and my feet felt terrific. These also helped the foot pain I had been dealing with prior to wearing them and now, my feet are stronger thanks to the Topos. Foot pain is but a distant memory. One of the things I love best about the Ultrafly 2's is they are nicely cushioned, offering comfort for my feet yet still feel responsive so I can feel the road instead of feeling like I'm running on marshmallows. I am a Topo ambassador. Lately I have tried a few different shoes/ brands looking for a great shoe that is fast but still provides great cushioning and support. Not tooo supportive and not heavy.The Ultraflys are what I've been looking for all along! They're perfect for long races, but I also wear them for 10Ks cause they are light and fast! My toes have room. My knees are happy. I like the ice blue. No blisters. I'll definitely buy again and my feet have finally found their match made in heaven!